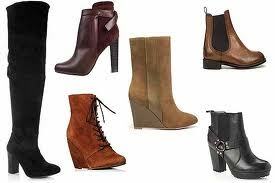 It seems appropriate with last weeks’ snow fall of 6 inches, to talk about boots ! As for boots – this is OFF the chart, I have seen everything from those Ugg boots – with the fur lining, to stacked high heel boots with side hardware buckles- in very stylish. Wedge boots are very popular here too- I have seen them in micro fiber, in reds & bright blues, also in the “rugged style” with fur lining. And then there are the stiletto high heel boots .. yep .they do wear them .. in the day .. and they walk in them to the metro !!! I have even see thigh high boots on 40 year old ladies – and they are WORKING IT out ! Most of these are either in black or leopard skin colors. Also, take some pride Americans .. a big style here, for many years , is cowgirl boots !! yep , you read right! I have seen the originals on the streets of Paris, being worn by all ages . 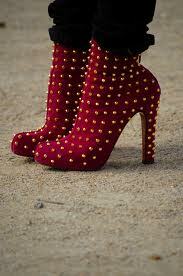 The pointed toe , is a classic look here, ( which means more expensive ) and has shown up, in many designers collections. So, if you visit Paris in the winter, remember, in this weather, you may be walking in rain or snow. 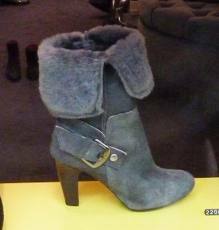 Parisians demand their boots must play a duel role – keeping your keep warm & looking stylish .. double duty. (ces’t bon). As for me – this is a big transition, because back in Charleston – we do not need boots like they do in Paris. So I have had to go back to my childhood days , and create ” training boots ” yep .. sad , but true. Now, here is where you will get a chuckle – I am very cheap – as most of you know .. so spending 75 euros on boots , was something, I was thinking about( and thinking & thinking) .Trying to get out of cheaply .. and thus .came my Bargain Angel ..
One morning , walking the dogs in a very rich area, I noticed , a hug amount of clothes, that were put out on the sidewalk, but like in a presentation style , clothes on hangers hooked on the metal gate. and Shoes neatly lined up on a box .. so off to the house we went . ; and looking at this, i could not believe my eyes !! 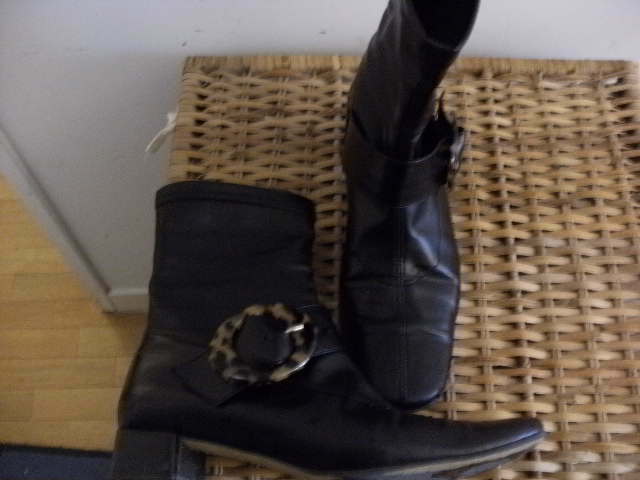 There was over 8 pairs of shoes and boots , all in new condition. the clothes were in great shape too . On the house , was a sign posting, it was sold by an agent . ; so i guessed, the family used this , as a way to spring clean; in November – I grasped up as much as possible ; too bad the dogs did not have back backs, I would have shoved clothes and shoes in them too! 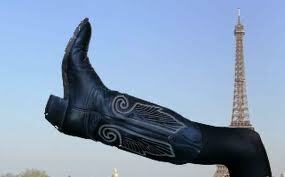 I wear a pair of black boots, with an elastic ankle style. Its perfect for wearing with pants. 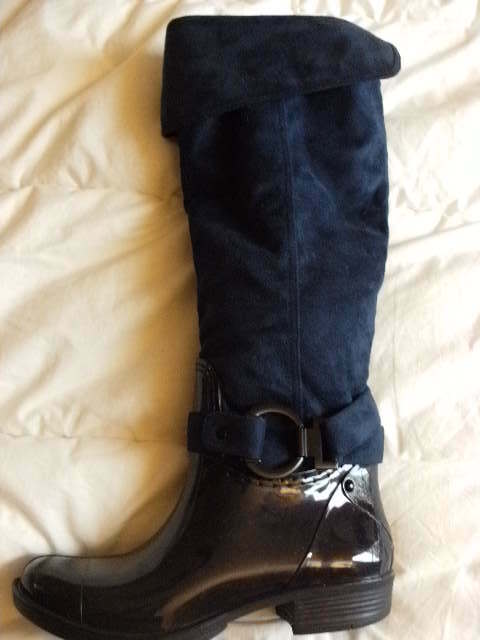 It has a 2 inch square stacked heel , very stable to walk on (these are my training boots). My haul was a total of 6 shoes, 2 pairs of boots , and clothes and one winter jacket, SCORE !! Nic could not believe I found all this .It was a lot ..